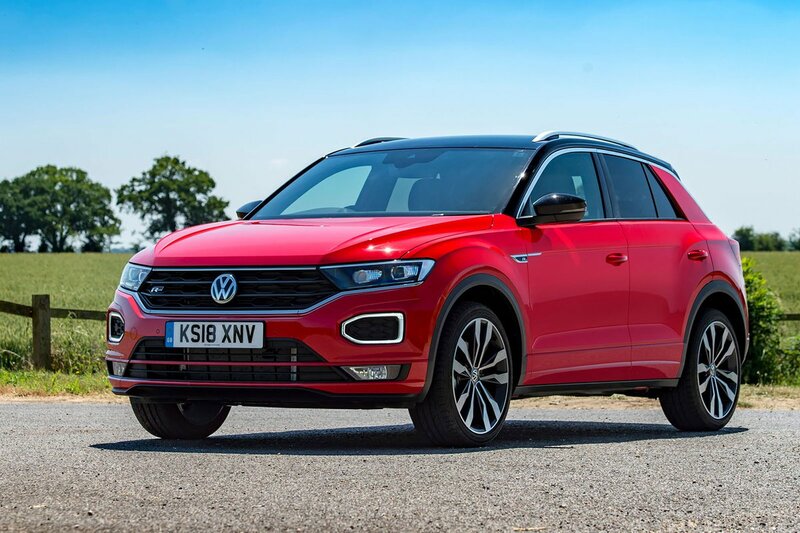 Volkswagen T-Roc Performance, Engine, Ride, Handling | What Car? The 113bhp three-cylinder 1.0-litre (TSI 115) is expected to be the biggest seller and, thanks to its turbocharger, proves surprisingly punchy. It can more than hold its own on motorways and A-roads and, when you factor in its keen price, we reckon it's the pick of the line-up. If you fancy a bit more vim and vigour it's worth looking at the 148bhp 1.5-litre engine (TSI 150). 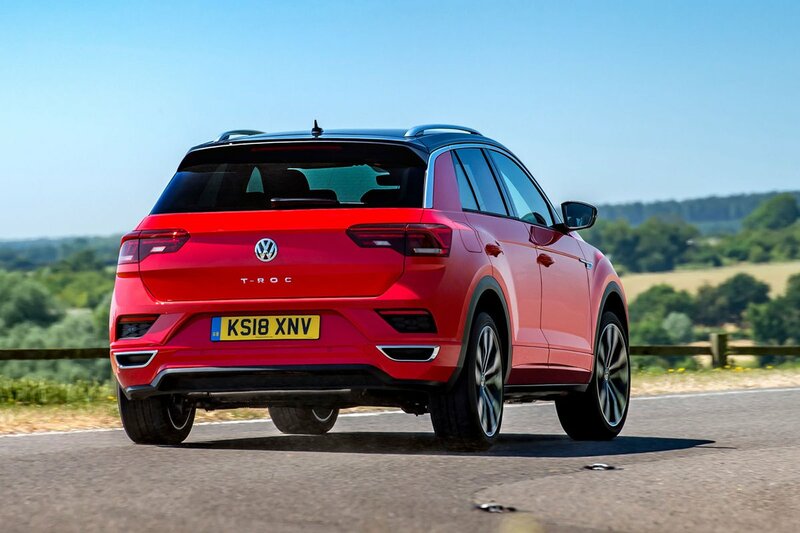 It is noticeably quicker than the 1.0-litre and cuts the 0-62mph time down by almost two seconds, but it’s this engine's extra mid-range guts that proves more useful, making for less stressful overtaking and fewer gearchanges in everyday driving. On the subject of gearchanges, while the 1.0-litre comes with a six-speed manual only, choosing the 1.5-litre gives you the option of a seven-speed dual-clutch automatic gearbox as well. The flagship 187bhp 2.0-litre petrol (TSI 190) comes with the automatic ‘box and four-wheel drive as standard. The former shifts gears quickly and the latter provides added traction in greasy conditions. It's certainly a strong performer, but seems rather like overkill when the less powerful engines are so effective. What about diesels? Well, the 113bhp 1.6-litre (TDI 115) is adequate but lethargic but the 148bhp 2.0-litre (TDI 150) pulls strongly from low revs. As it comes with standard four-wheel drive, it could prove a good choice if you regularly tow a caravan. The T-Roc is one of the most comfortable small SUVs on the market. It soaks up bumps better than the Audi Q2, Mini Countryman and even Seat Arona, while still keeping its body from bouncing up and down too much along undulating roads. 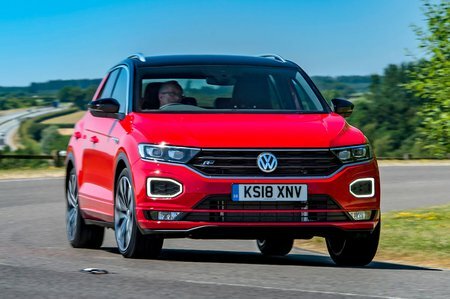 That said, as is the case with most SUVs, you feel urban imperfections and expansion joints more than you would in lower-riding cars, such as the VW Golf. Add the optional Dynamic Chassis Control and you can also soften or firm up the ride to suit your mood (or the road you're driving down). However, the differences are subtle and the system isn't cheap, so we wouldn’t bother adding it. We’d also save a few more pounds by avoiding the 18in wheels: they hurt the ride comfort. You rarely get something for nothing in this world and, sure enough, the price you pay for the T-Roc’s forgiving ride is a little more body roll through corners than with some of its rivals. If you’re looking for a sporty-feeling SUV, the Q2 and Arona stay a bit more upright through bends and grip harder, too. However, the T-Roc has precise, sweetly weighted steering that makes it a pleasant and easy car to drive smoothly. Range-topping SEL trim has a system called Driving Profile Selection, which lets you alter the weight of the steering and the response of the accelerator. As with the optional Dynamic Chassis Control, it doesn't have a dramatic effect on the way the car behaves, so we wouldn’t recommend adding it as an option on the cheaper variants. The 1.0-litre petrol engine is whisper-quiet around town, but gets a bit raspy when you pick up the pace because it needs to be worked quite hard. The 1.5 engine doesn't need to be revved so much which makes it generally quieter and smoother as a result, but it can still be a bit boomy when you're accelerating briskly. Meanwhile, the 187bhp petrol engine is always smooth and quiet, but its dual-clutch automatic gearbox can prove jerky in slow traffic. The 148bhp diesel is impressively hushed on the motorway and proved quieter than the equivalent Q2 or Countryman in our tests. It gets rather grumbly around town, but it's nothing like as annoying as the less powerful 1.6 TDI 115. This buzzes away noisily whether you're in town or doing 70mph on the motorway. Speaking of which, the T-Roc manages to subdue wind and road noise at speed better than most of its rivals.